Considering all the countries in the Middle East Region, Iran is the one that has fascinated me the most. Although, the first thing I learnt many years ago is that Iran was not Arab but Persian, my first impression on this country came from literature. Many authors have been attracted by this misterious land all through history, describing this strangely exotic but illustrated country called Iran. 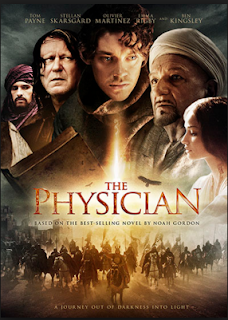 The first contact I had when I was still at school was through the best-seller from Noah Gordon: The Physician, that depicted how civilized Iran was at this time. The book tells the story of a young Englishman that came from London through a painful and exciting journey to study medicine in Iran. 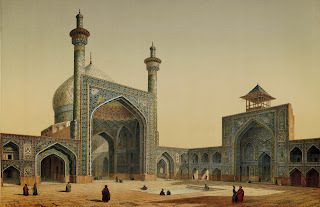 Describing the medicine faculty of Isfahan, you can see the modern methods even more sophisticated than those used in the western World thanks to the contribution of one the most wisest men of the Islamic world , Avicenna (Ibn Sina). He did not only master the field of medicine but also the field of chemistry, astrology along with many others. This book, although it can’t be considered a master piece of modern literature, it’s quite accurate on its historical descriptions. The comparison of the impoverished London with the shining Isfahan by the end of the 10th century is undoubtedly hard to believe nowadays. Those blaming the Islamic World for being “archaic” on everything related to science should review this part of the history and see how civilizations can evolve and everything needs to be analyzed within its context. Going six centuries ahead on history, my second impression was through a French novel. In the 18th century, while most Europe was still under absolutism, Persia was an exotic land country as Montesquieu described in its well-known “Lettres Persannes”. This book, written in 1721, described the fictional trip of a couple of Persians that went from Isfahan to Paris in an exhaustive trip to visit the monarchy of Louis XV (“Le Roi bien aimé”) and discover the “strange” culture of French people. All through the book, mostly based on stereotypes, you can notice the smart way the author uses to criticize the French society of this period without suffering the censorship. 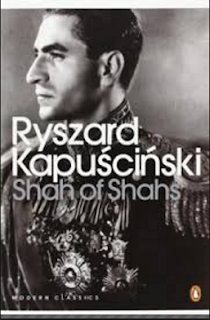 Getting back to Modern Times, the description I have liked the most so far is the one shown on the book of Kapuscinsky: “The Shah of Shahs”. This book reveals the period that starts from the 50s until the end of the 1970’s with the fall of the pro-western regime. It describes the emerging middle class, the unlimited wealth produced by oil and the opulence of the Shah accused of massive corruption. His refusal to launch some reforms largely ignoring the uprising claims for democracy triggered the revolution. That eventually led to the tragic events that took place in 1979 as a result of the longstanding resistant movements formed by different factions including pro-democracy protestors, intellectuals, Islamic movements and even communists that were looking to strengthen the relationship with the USSR. At the end, with the return of the beloved Ayatolah Khomeini, the dictatorship of Shah gave its way to new form of dictatorship even more repressive than the former one. Enrooted in fanatic Islamism and lack of fundamental freedoms, The Islamic Republic entered a new era of isolation that lead it get involved in the first Gulf war with neighbour Irak in the 80s and eventually to be included on the famous “Axis of Evil” by former president J.W.Bush. The recent French movie: “Nous trois ou rien” offers a satiric and humorous vision of this recent period of Iran history. 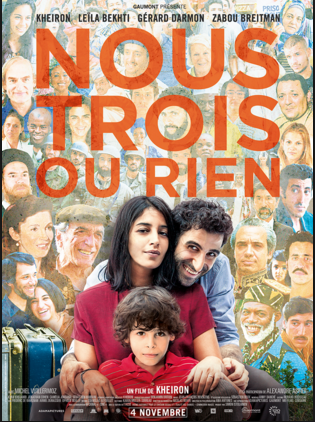 The director describes the story of his parents: two Iranian refugees who had to leave their home country after fighting against the Shah and how hard it was to get used to their new life in France. Not only it depicts the tragedy of refugees but it’s also full of humour along with a fantastic soundtrack. Thus, the recent signature of the historical agreements on July 2015 in Wien allowing a “peaceful” nuclear program and lifting the sanctions has opened a new era on Iran position towards the rest of the World. First of all, it has allowed many businesses to boost and the demand from foreign countries has turned Iran into the new "Promised Land" for foreign investors. As a matter of fact, their economy is expected to grow on a 8% average annually and the recent visits from its president to countries like France or Italy show how interested they are on attracting foreign capitals. Besides some sectors like motor industry, uranium, agriculture (they are first 1st pistachios producers worldwide) oil industry and services sector should encourage massive investments in the coming years. It’s important to bear in mind Iran has the second largest population in the Middle East after Egypt with around 80 million people. Over 60% are estimated to be under 30 years old and the workforce is highly educated. 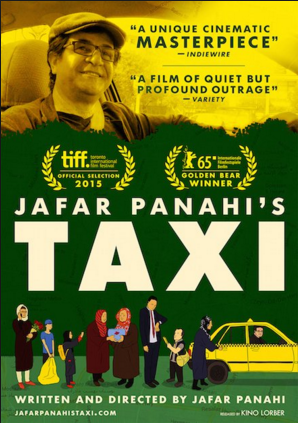 To describe this new period, where modernity along with restrictions are still living together, the fantastic movie Taxi Teheran by Panahi is a great example on how Iran can become a modern country while tackling all its paradoxes. 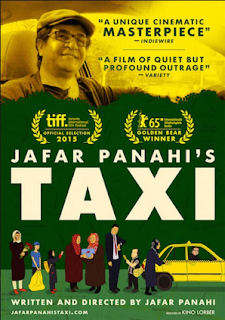 The outstanding director manages to escape censorship by recording the movie from his own “taxi” offering a unique vision on Iran Society, without any western bias, but reflecting still repressive policies on human rights and respect on minorities. The history of Iran is full of passion and tradition, going from ancient Persia to the modern Iran, there is a great evolution that has taken place not always on a positive sense. However it’s time to reconsider our vision on this wonderful Land that is once again opened to offer to the humanity its priceless legacy. The elections celebrated might suppose a turning point in the openess of persians to rest of the World.